Description: Note: This game is *NOT* supported by Xbox 360 backwards compatibility. * Customize your Bond with upgradeable gadgets, weapons, and clothing. * Shoot with pinpoint accuracy using the new Bond Focus mode. * Speed through missions in classic cars, speedboats, or a jetpack. * Battle it out to be the deadliest villain in all-out, multiplayer deathmatches. 02-17-2016 lugnut Description Note: This game is *NOT* supported by Xbox 360 backwards compatibility. 01-26-2016 lugnut Box Text Enter The World Of Classic James Bond * Customize your Bond with upgradeable gadgets, weapons, and clothing. * Shoot with pinpoint accuracy using the new Bond Focus mode. * Speed through missions in classic cars, speedboats, or a jetpack. * Battle it out to be the deadliest villain in all-out, multiplayer deathmatches. 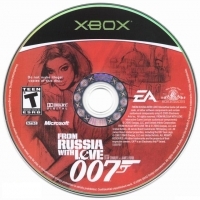 This is a list of VGCollect users who have 007: From Russia With Love in their Collection. 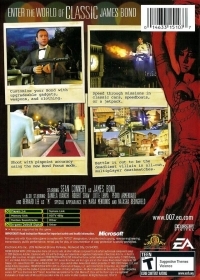 This is a list of VGCollect users who have 007: From Russia With Love in their Sell List. 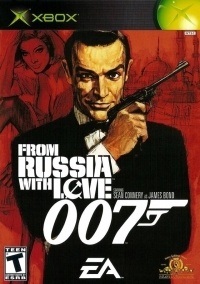 This is a list of VGCollect users who have 007: From Russia With Love in their Wish List.